Part of your air conditioner’s job is to clean the conditioned air as it moves into the rooms of your home. Selecting the right air filter for this task is important, as is remembering to clean or replace the filter on a regular basis. In order to choose the right filter for your A/C, it’s important to understand MERV ratings. Each air filter has a MERV number, which stands for minimum efficiency reporting value. These ratings let consumers know how well the unit takes particles of certain sizes out of the air. MERV numbers range from 1 on the low end to 16 on the high end. The higher the MERV value, the smaller the particulates it can filter out of the air. That said, buying the highest MERV value you can find is not the best strategy for your home’s HVAC system. These higher density materials are designed for more substantial units and can limit airflow through your home’s air conditioner. This means that the fan motor has to work harder to pull air into the system, and when it works harder, the unit uses more energy which raises your utility bill. The stifled airflow in the unit also prevents cool air from cycling around the fan motor itself. This can lead to the motor overheating and failing prematurely. If you aren’t getting a significant improvement in air quality, this isn’t a good trade-off. If you’re unsure of the best filter for your home’s air conditioner, check the manufacturer’s recommendations for peace of mind. 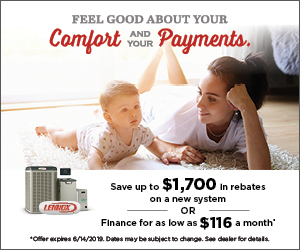 For more expert advice about getting the right filter for your air conditioner and other issues related to home comfort, contact the professionals at Rinaldi’s Air Conditioning. We’ve been serving the Central Florida area since 1969.